Check out this Beautiful Home that lets you live comfortably while being surrounded by the peaceful beauty of nature. Call now! Phyliss Jones (903) 654-0337. This can be your own private sanctuary! Ideal Lots In Streetman Texas! 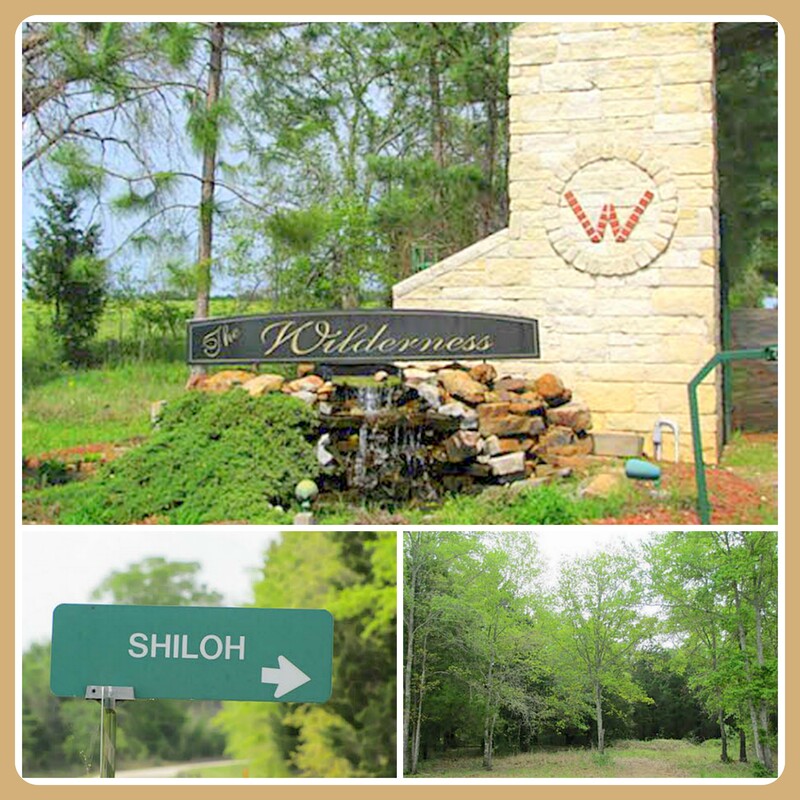 Beautiful off water lots in one of the prestigious additions at Richland Chambers Lake. 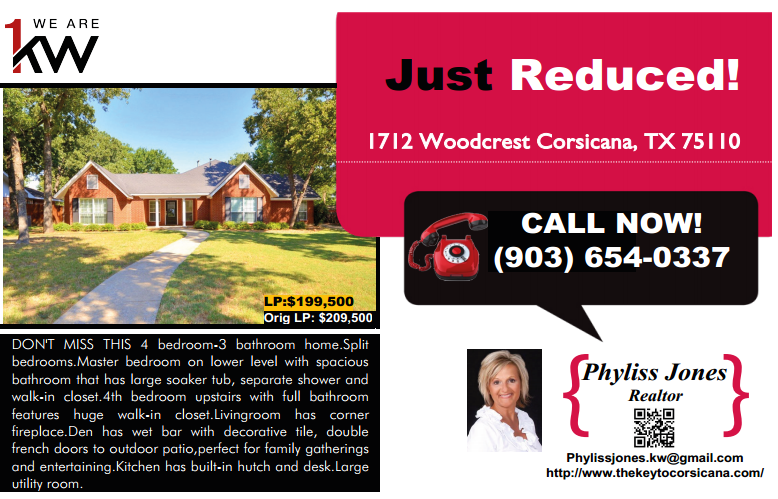 Please call me for more details Phyliss Jones (903) 654-0337 or visit my website http://www.thekeytocorsicana.com/. 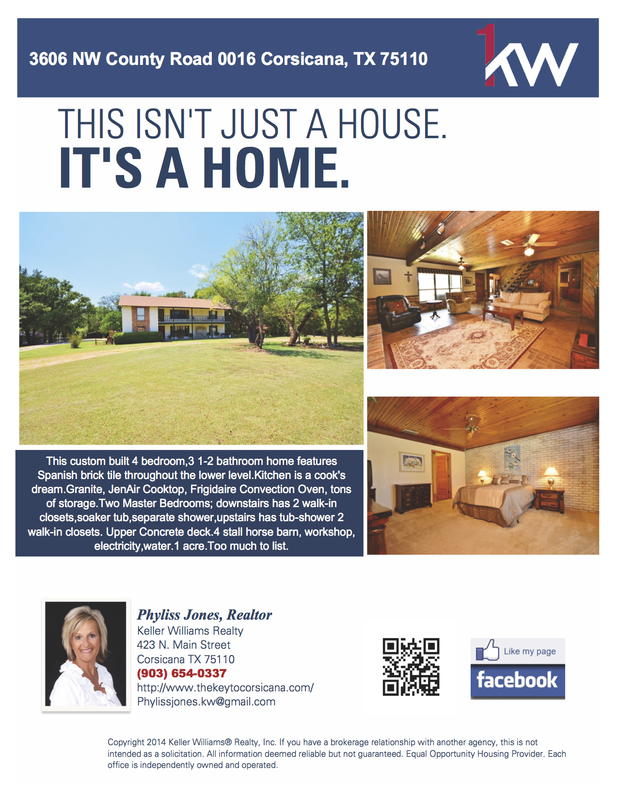 Live in a Country Pure and Simple Home at 1003 Hull Dr in Richland Texas. 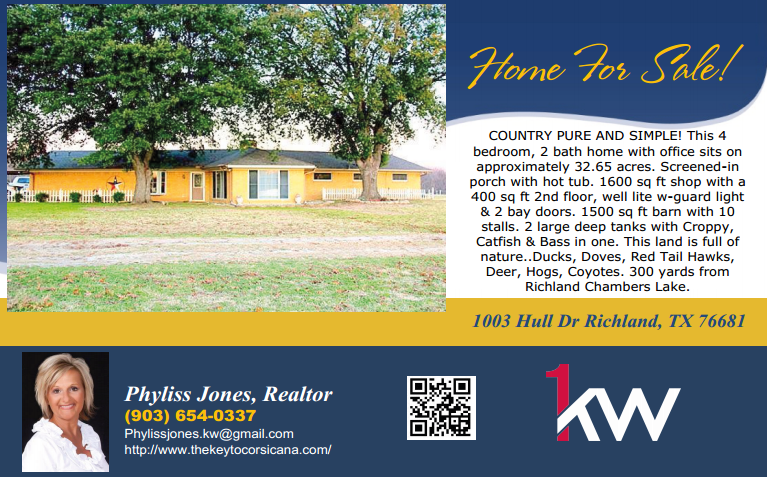 for more information and showing you may contact me Phyliss Jones (903) 654-0337 or visit my website for more photos and listingshttp://www.thekeytocorsicana.com/.